For the first time in what feels like forever, I went to the allotment. I decided to delay today’s writing session and take a walk to the plot. There were lots of currants to be harvested. I didn’t want to let them rot, feed the birds or just go to waste. Truth be told, I needed to go get grounded. Life has been very busy, and there is no let up yet. The rest of 2018 is scheduled to be busy still until at least September-ish. The allotment has been on pause for a long time, and going there today hammered home how badly it has all fallen down. I could have got lost in the weeds, everything is very over grown, brambles are very much in charge. It does sadden me, that I can no longer see the raised beds and that the whole thing is over grown. Especially, as it’s take years to get it how it was wanted. What I didn’t bank on was life getting in the way. There’s been a training course and strange working hours; not to mention writing as well. It’s nine years since I first started sowing seeds, and I do feel that I’ve come a long way. It’s painful really, knowing that the plot has been neglected. Painful, as to how overwhelming it feels to get it back into shape. I’m not sure where to start or how for that matter. I know it won’t be immediate, so plan to take a good, long look at things at the end of summer. Being told but allotment secretary that you are probably going to get a letter is not fun! I definitely don’t want that. It’s a horrible sword of Damocles hanging over your head, and I really don’t want that letter. I’ve just seen him, and it’s rather changed my mood. It’s a horrible feeling being told that your plot is the worst that is has been, that it’s in need of being tidied up. It is a judgement, after all and maintenance of standards; that I understand. I do have a responsibility to look after my plot and ensure that it is productive. I have felt this for a long time actually, and it’s almost as though I am beating myself up about it. Gardening has never been about that for me, but that doesn’t stop me from feeling as though I am letting people and myself down. I will probably sulk for a bit anyway. It does hurt, and it’s never nice to get negative feedback. In it’s current state, the plot is not something to be shared, enjoyed or celebrated. As life settles down, I will need to take stock and start hacking away at the overgrown allotment. That’s probably the only way that I am going to win against the brambles. I just can’t do it yet. This probably feels huge as I try to juggle bits and pieces. 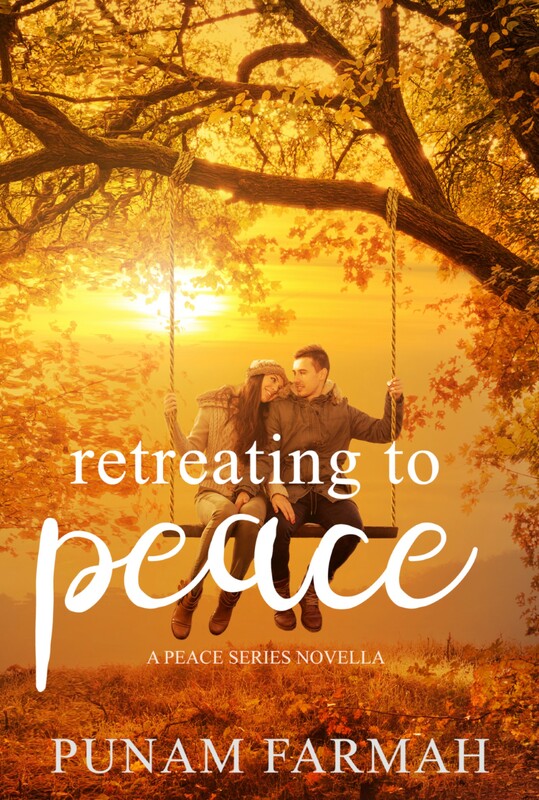 I need to get the headspace and life events sorted before I can return to the plot. All in all, I’m trying to keep things in perspective. I want to return to the plot when I can, when I have the time and energy. It is not something that I want to abandon. That would be awful, and I can’t bring myself to do that. Tomorrow the kindle promo kicks off with Playing with plant pot tales being at reduced price. This will subsequently be followed by sow grow and eat. Alongside this, there is an event on the Facebook page. So if you picked up a copy, why not join the event and share your experiences; may be even like, share and comment on the page to help others hear about allotment adventures. Today is the first day of my Easter Holidays, and that means starting to think about what is to do on the allotment. In particular, inside the polytunnel. The youtube version can be found here. Whilst I have tried plants and potatoes in the poly tunnel, this is the first for seeds. I have scattered an assortment of radishes, beetroot and different types of lettuces. There were all year round butter head lettuces, as red yugoslavian, lollo rosso, little gem and one called rouge D’Hiver. With radishes, we have a mixture. In terms of beetroot we have have the usual boltardy and Chioggia. It was very cold in there! Less warmer than it was the other day when the shelving was built. I hid in the poly tunnel, whilst Mum did some digging outside. Whilst it was cold, the plot has started to dry out a little bit more. I think the worse thing that might happen in terms of the weather might be a deluge of April showers. No news yet on the beans sown the other day, I suspect the poly tunnel needs to be a little warmer. I went down to the plot today! I wasn’t booked to be anywhere, I could have a lie in, and then I was able to go do things on the plot. The last few months, in fact since the start of the academic year, have been rather busy. Between school work and volunteering, there has been a lot going on. So much so, there have been times where going to the plot has been somewhat challenging. I am for making time, and there have been instances where it has just been a quick visit to make sure things are still standing. Also, it hasn’t rained today. Yet! The sun is out, it has just nipped behind a cloud, as I type; but it is out. Has lent itself to being used appropriately. 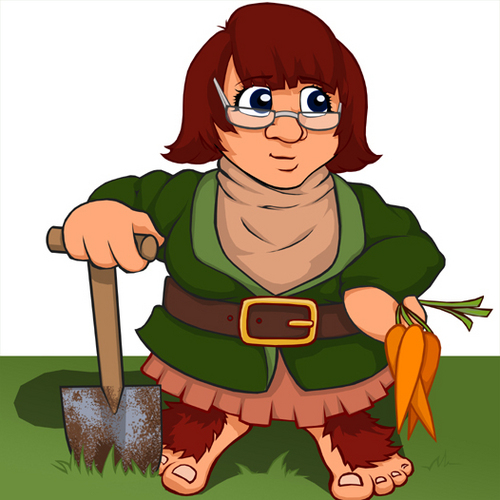 I am hoping that my gardening mojo will return as the seasons change and the growing season kicks off proper. Today, was about tidying up the poly tunnel. Not a lot has happened in there since the summer, I didn’t plant anything in there; though I probably should have. I have had it a couple of years now, and I am still trying to work out how to use it properly. In I went, and tidied up and away the assortment of grassy weeds that had taken up residence. I also passed a hoe around to break up and aerate the soil. A green film had appeared across the soil and needed to be scuffed away. A couple of days ago, I had removed the rather mottled and decaying pots of chillies, there may be a couple more in the smaller greenhouse actually. Free of both weeds and pots, the poly tunnel started to look a bit serviceable again. To make it even more so, I had some shelving to build. It does look a little wonky, yes, the ground isn’t particularly level inside and I’m not investing in industrial strength shelving. There is going to be a point where I run out of space at home in terms of window sills. I do have the four tier blowaway and the walk in greenhouse as well to help ease congestion. Thing is, any seedlings sown need to be mature enough and hardened off before they exist the house. As wonky as it looks, the shelving is okay. Was simple enough to build, it didn’t require any tools; and I have secured the shelves themselves to the frame by tying wool. It is most likely that as the tomatoes and chillies at home get bigger, they will find themselves on these shelves. It won’t be long before I need the window sills at home for squashes. The next thing to do was to actually sow something. I am still a little behind, or at least it feels like I am. I am still meaning to sow sunflowers, but today was all about beans. As you can see, the whole tray of modules is full. Yes, that is an awful lot of beans. They do all get used, either fresh or are frozen for use in cooking. When frozen, they do keep well. I don’t actually recall Mum ever blanching them. The crop tends to be washed and diced, before ending up in the freezer until needed. I quite like the climbing french beans, and I would not have been forgiven had I not sown runner beans. Mum asked a couple of weeks ago-she made eyes at me and everything-about when I would be sowing runner beans. Incidently, it is very hard not to type runner beans…. She is not a big fan of the interestingly coloured borlotto beans, but I wasn’t going to let them escape the plot. I quite like them, they look really quite nice peeking out through the foliage on the canes. They are pretty much used in the same way as runner beans in the kitchen, so the appearance gets glossed over. Once curried in a pan, you can’t really tell the difference in the appearance. Turmeric will do that to a dish. In other news, I am working on the next GYO/Plot book. It was a thought that crossed my mind, and stayed there. There is a vague plan, of what might be in it; I will need to reflect further on the fine details. But there will be recipes in there, that much I do know! Not sure when it will be done, but I will get it sorted soon. This means working on book two and three most likely at the same time over course of the year. March comes in like a lion, and leaves like a lamb. That is meant to the seasonal adage. There is most certainly roaring, as the weather displays it’s mood with rain, slush and sleet. You would not think that this was the start of Spring. With the inclement weather making it difficult to go play on the plot, all reflections are contained within four walls of home. In particular, reflecting on the window sills. Despite being a little behind, the window sills are starting to fill up. Chillies and tomatoes now occupy the available space, and will need to be carefully observed as they start to grow. They all look very delicate and spindly. largely due the fact that it is still very cold and I don’t use grow lights. I never have, though the hardened chilli might do; grow lights have never been on my agenda. Maybe when I have my own castle and have won the lottery, I might invest in some. There is still a lot to think about, so early on in the season. I have a long list of things to consider. I need to find some ‘orse poop so that I can sink all the seed potatoes that are currently waiting in the wings. With Easter being early, the planting of the seeds will scheduled in line with a break from school. Previously, I have spent the odd Good Friday and Easter Monday digging trenches for potatoes or building bean frames. No trenches on the plot, by way of learning and experiencing different things; and the beans go into wig-wam structures. All of the spuds are likely to go into raised beds that will be filled with ‘orse poop. ‘Orse poop that has decayed well, and isn’t steaming fresh as this can kill things dead and that’s not quite what we want. This years Psychology Sunflower challenge will be kicked off as well. (You can find last years blog posts about that in the archive). As April swings in, one will need to consider squashes, runner beans and climbing French beans; and sow these into pellets. This will mean window sill shuffles and making sure that the four tier blowaway in the garden is in a fit state. It’s actually looking a bit battered and weather beaten, and the cover might have disintegrated in patches in addition to the zip on the one side having lost it’s teeth. Happens to all of the covers! Sowing of the beans may take a while, even though in the past they have been sown around St.Patrick’s Day. We had a nice crop last year, though mum did pull faces at the Borlotti beans. I quite like them, and will probably sown a few seeds sneakily on the side. She won’t know til they vine! I hear it’s World Book Day tomorrow; the global celebration of literary fiction, of characters that inveigle themselves into our imagine to loom larger than life, and of the passion and pride that authors feel when their words are read and enjoyed. Admittedly, these were my second. third and fourth thoughts after thinking of my own book and how I could plug it all day tomorrow. Not the most appropriate thought I suppose when there are books for every taste and interest that should be celebrated. I wrote mine as it corresponds to mine, the fortunate thing being that there are people out there for whom I hope it is useful. I enjoy having a vegetable patch, and I wanted to share the lessons learned from it. 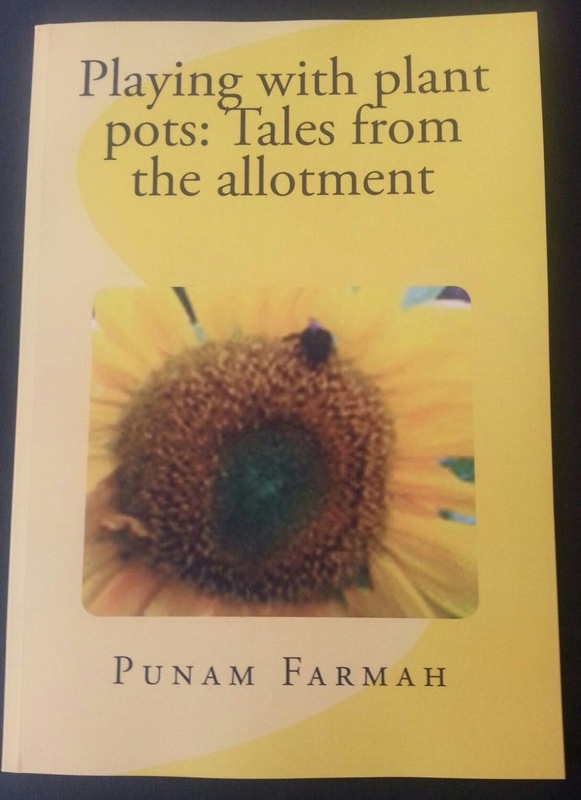 It is less than seven months since I published #Plantpottales, and I am trying to think of what to do next. There is a current work in progress, with slow and steady progress being made. I do have a self imposed deadline that I am working towards; and two months in it is feeling rather tight already. I don’t write full time, I don’t even play on the plot full time; so it is shoe horned into the real life. This makes having a monthly quota a challenge, and I have a long list of things I want to write and put into the work. It’s a move away from non-fiction; I am trying to use my imagination and a thesaurus to create a work of fiction. But I would also like to write another non-fiction gardening book. The thought has entered my mind of late. It will have recipes in it, certainly. I have a list! Of the assorted jams, jellies and chutneys that have been plot experiments. (I’m going to be cautious here and tell you that I am not a professional preserver but a hobbyist, so don’t be expecting full scale rules and regulations for health and safety et cetra. Keep yourself and your kitchen safe, all right?). Whilst I have the list of recipes, I will need to reflect on what I put in the book proper. This means devising a list of chapter headings in the same way I did when developing #plantpottales. Some serious reflection is required as to what I want to put into it; knowing what I had put into #plantpottales. This is the first-I think-World Book Day that I can experience as an author. I might be self published, but an author nonetheless, and I like to think that #plantpottales is one of the many books out there that will be appreciated not just tomorrow, but also beyond. The growing season has but just started! With two possible, projects for the coming year, I can only hypothesis what world book day 2017 might be like.